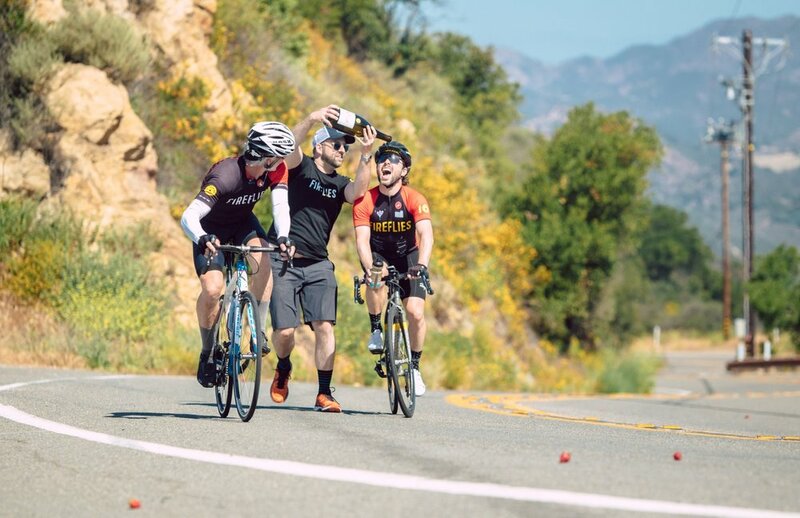 A lot of the local Los Angeles clubs are designed for racing, we were formed for one purpose the increase the spirit of the fireflies and to help new riders get ready for the annual FirefliesWest tour from San Francisco to Los Angeles. Along the way we formed a cycling club to keep the knowledge, passion and spirit alive. And as older riders had families, moved away or retired new ‘blood’ riders could help train, guide and lead the peleton. We are always welcome new riders and pride ourselves on being able to train anybody to ride the FirefliesWest Tour given enough time and effort from the rider. 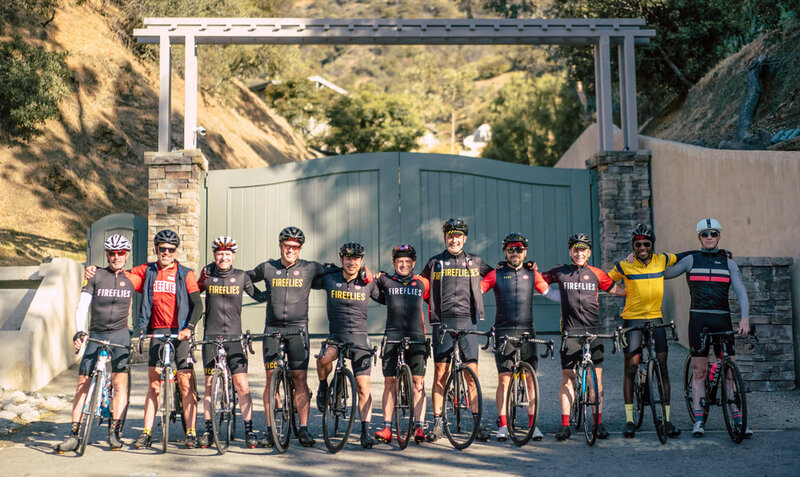 Being a new rider can be intimidating, with us we hope that fear subsides early and you can enjoy cycling in and around Los Angeles with the club. As a club member you get access to our awesome kit drops, training and education and great benefits from many local businesses. I love this group and club so much. Every week we send out an email that lists all of our weekly rides our members are planning with the meet up times and locations. It's always a self supported casual ride (unless we are planning on joining a sportive/century) and we ask riders to carry everything that they might require on the road. This includes a helmet and tools/tubes/air to fix a puncture. We also ask all riders and guests obey all traffic laws and ride respectfully and with safety of themselves and the group a prime concern. We've been a part of the Los Angeles cycling community for over ten years and we are lucky to have a generous set of friends who help our members and tour riders.